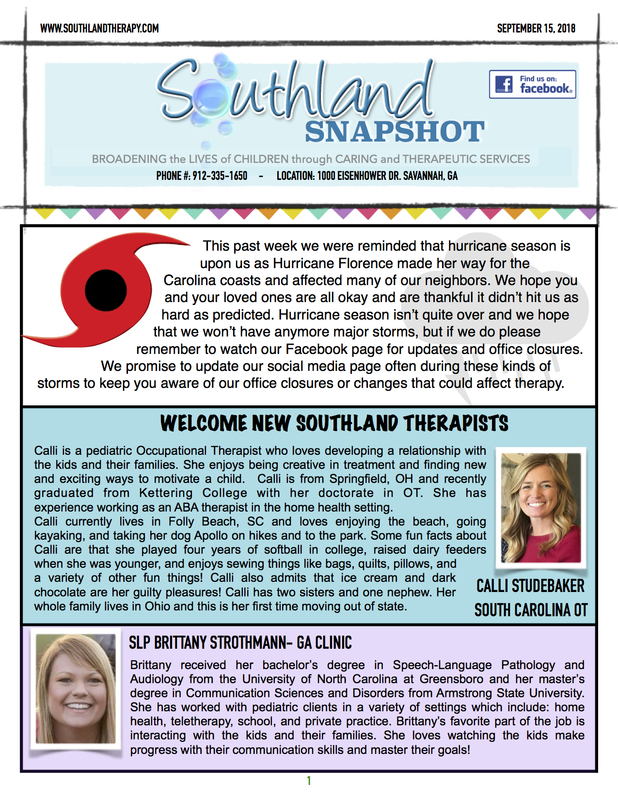 Southland Snapshot: 2018 Hurricane Preparedness and Amtryke awardee - Southland Therapy Services, Inc. This past week we were reminded that hurricane season is upon us as Hurricane Florence made her way for the Carolina coasts and affected many of our neighbors. We hope you and your loved ones are all okay and are thankful it didn’t hit us as hard as predicted. 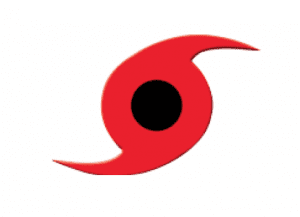 Hurricane season isn’t quite over and we hope that we won’t have anymore major storms, but if we do please remember to watch our Facebook page for updates and office closures. We promise to update our social media page often during these kinds of storms to keep you aware of our office closures or changes that could affect therapy. 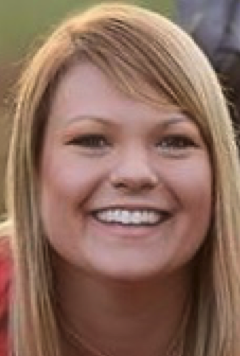 Calli is a pediatric Occupational Therapist who loves developing a relationship with the kids and their families. She enjoys being creative in treatment and finding new and exciting ways to motivate a child. Calli is from Springfield, OH and recently graduated from Kettering College with her doctorate in OT. She has experience working as an ABA therapist in the home health setting. Calli currently lives in Folly Beach, SC and loves enjoying the beach, going kayaking, and taking her dog Apollo on hikes and to the park. 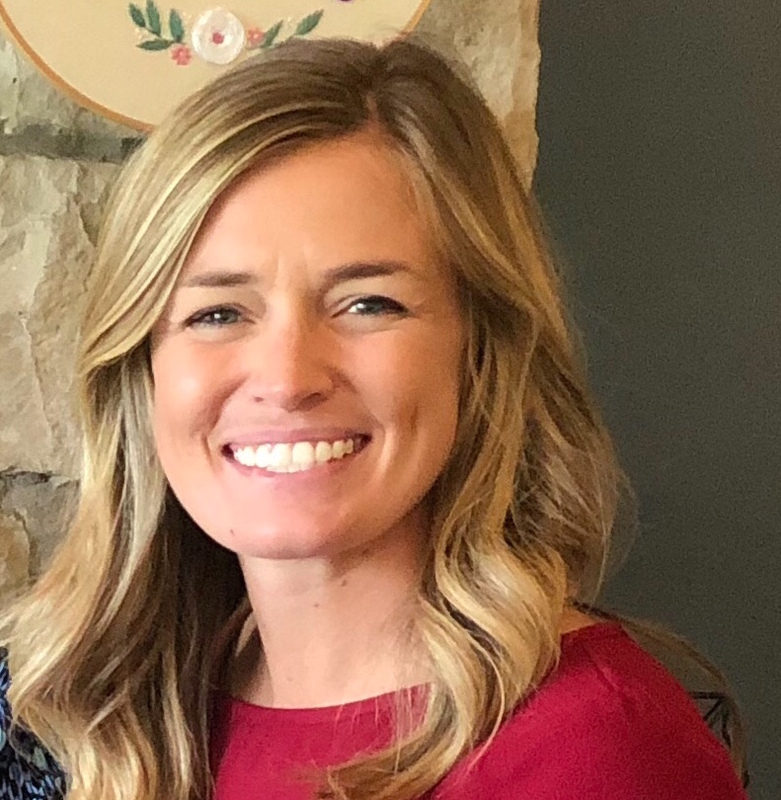 Some fun facts about Calli are that she played four years of softball in college, raised dairy feeders when she was younger, and enjoys sewing things like bags, quilts, pillows, and a variety of other fun things! Calli also admits that ice cream and dark chocolate are her guilty pleasures! Calli has two sisters and one nephew. Her whole family lives in Ohio and this is her first time moving out of state. Brittany received her bachelor’s degree in Speech-Language Pathology and Audiology from the University of North Carolina at Greensboro and her master’s degree in Communication Sciences and Disorders from Armstrong State University. She has worked with pediatric clients in a variety of settings which include: home health, teletherapy, school, and private practice. Brittany’s favorite part of the job is interacting with the kids and their families. She loves watching the kids make progress with their communication skills and master their goals! 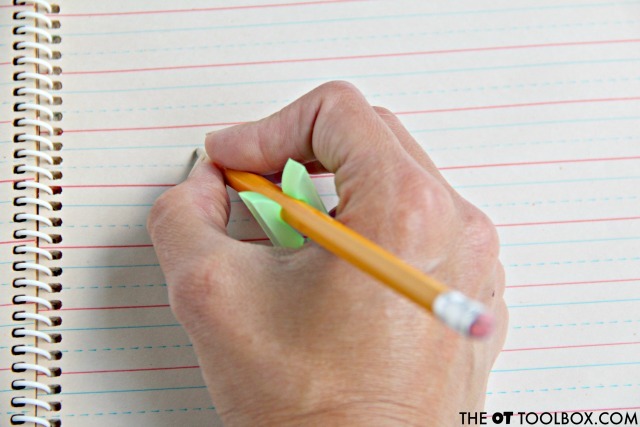 “The issue with many kids who hold a pencil with an inefficient grasp is the dexterity and limited motion that results. They are holding the pencil with their fingers wrapped in such a way that they can’t hold a pencil with dexterity. They lack pencil control needed for efficient handwriting speed. Letter formation suffers and legibility lacks. When a child moves ahead in grade level or age and are required to write more quickly, they can’t keep up with written work requirements and legibility suffers. They then can’t read their class notes, handwritten work, homework lists, etc. Post your pencil grasp clothespins on our Facebook page – show us how it’s working for your child! Chance has been a longtime patient of Southland Pediatric Therapy Services and makes us all smile as soon as he enters our doors. 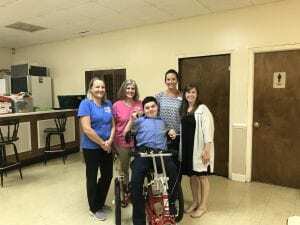 On Monday evening September 17th, Chance was honored at a ceremony at the Knights of Columbus in Savannah. 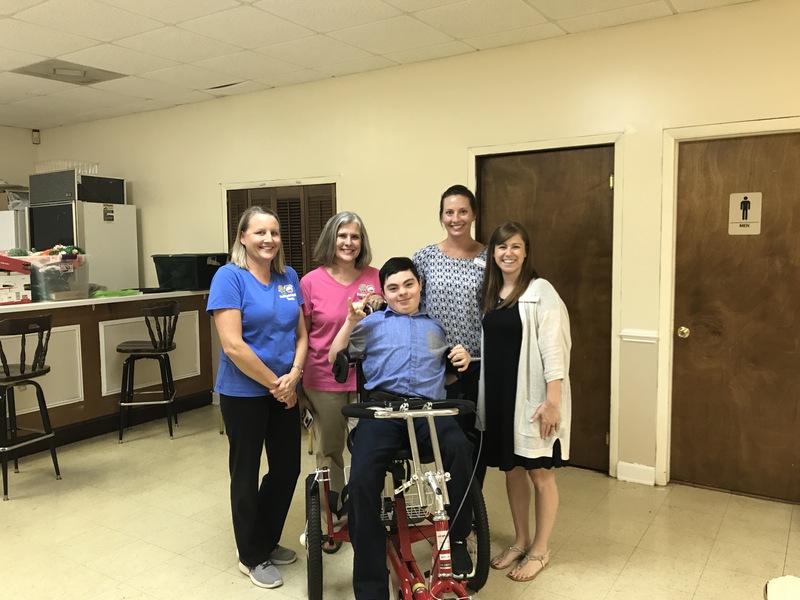 Surrounded by family, friends, Savannah Ambucs members, his Amtryke sponsors and Southland Therapy staff, Chance’s smile reached from ear to ear as he showed off his new adaptive Amtryke and took his first ride around the room. His mother Yvette mentioned that instead of running behind him, she was going to need to wear her roller blades to keep up with her excited son. Chance received an Amtryke that will adjust and grow with him. If he does grow out of this size bike, he can donate this it back into the Ambucs organization and get the next size Amtryke to continue to enjoy life on three wheels. We couldn’t be more proud of this young man and felt honored that his family invited us to be a part of this exciting and wonderful event. Congratulations Chance! Wear your helmet & be safe!